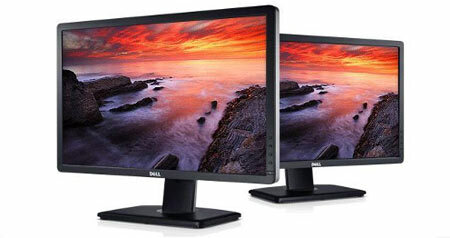 Dell has released their new 24-inch U2412M monitor with eIPS panel, Edge LED backlight and 1920x1200 pixel resolution. The new U2412M is an addition to Dell’s line-up of UltraSharp monitors and the current U2410 model will continue to exist as a step-up model. U2412M should be viewed as a lower cost alternative for graphic artists, photographers and discerning users. But is Dell’s new U2412M a true value-for-money product? Is it close to the current U2410? And can U2412M out-perform other IPS based monitors in this price segment? FlatpanelsHD intends to answer those questions and more in this U2412M review. We will also include Dell U2410 comparisons. Subscribe to our Newsletter, RSS feed or twitter to receive notice when new reviews are online. 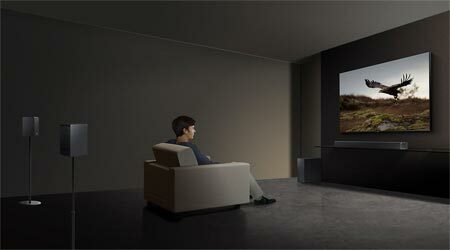 We’ll soon publish our Panasonic DT30 and LG Nano LW9800 reviews as well. Dell U2412M exists in two color variants; a black edition and a silver edition. We have received the silver edition. The new U2412M has more rounded and softer edges. The bezel is still made from plastic and the monitor now uses physical buttons instead of touch button on the U2410. The stand is smaller and has the same soft look as the bezel. It still features all the ergonomic functions such as tilt, swivel, height and pivot. You can also move it slightly higher and lower than U2410. On the back we found DVI, D-SUB (VGA) and DisplayPort. The HDMI input is gone. On the side we found two USB ports (two on the back as well) but the SD card reader is also gone. 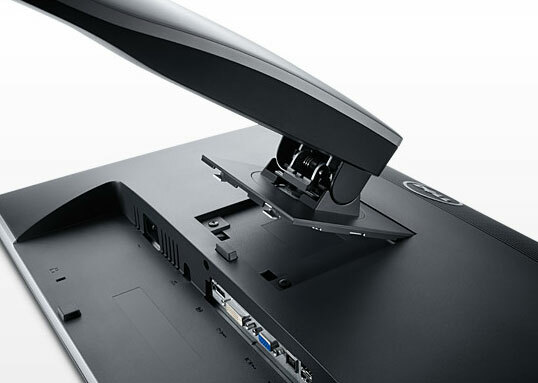 Dell U2412M is slimmer than U2410, because of the LED backlighting solution. The on screen menus look identical. In the menus the following picture setting options are provided: brightness, contrast, input color format, gamma, sharpness, aspect ratio and dynamic contrast. You can also choose from these picture presets: Standard, Multimedia, Movie, Game, Text, Color Temp and Custom Color. Compare power consumption measurements on different TVs and monitors with our interactive power consumption applet here. You can see our energy measurements on Dell U2412M below. After calibration I measured energy consumption to 21.1 W. Dell has more than halved power consumption on U2412M compared to U2410. 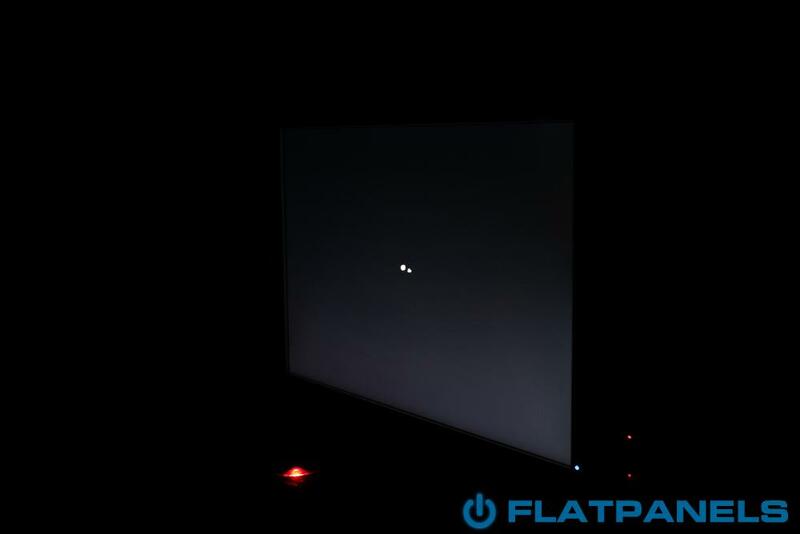 It is also lower than on 23-inch U2311H. The low power consumption is obviously achieved with the LED-backlighting unit found in U2412 compared to CCFL in U2410. I measured stand-by consumption to 0.3 W.
We use the DVI input for testing. The graphic card is Geforce GTX260. The monitor has been measured and calibrated with a LaCie Blue Eye Pro. We also examine the monitor with the help of our monitorTest. And finally we test the monitor in games, movies etc. Out-of-box picture quality on Dell U2412M is measured below in the Standard picture preset. The number on the left is the delta value. Delta is a difference between two factors; here it’s the difference between the measured color on the panel and the actual color that is our target. A delta value lower that 2 results in a visible deviation from the actual color. A delta value over 4 or 5 results in wrong colors. A delta value between 1 and 2 results in precise but not perfect colors. A delta value lower than one results in almost perfect colors. The target is 0. Everything between 0 and 1 is barely visible to the human eye. 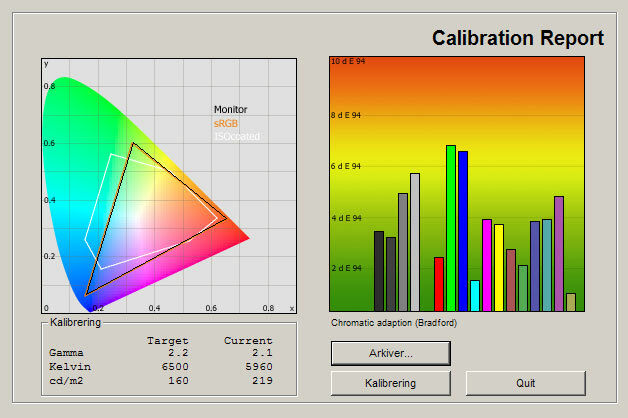 Out of-box measurements show that Dell’s monitor has fairly good color characteristics in the Standard preset. Colors are not 100 % accurate and slightly too reddish (because of too low color temperature). Gamma rises from 2.05 in the dark tones to 2.23 in the bright tones, meaning that dark colors are slightly too dark. The Standard picture mode is not as accurate as the sRGB mode on Dell’s other UltraSharp monitors, such as the U2410, but the Standard preset on U2412M is fairly good. Dell U2412M has no sRGB preset and therefore we moved on to calibrate the monitor right away. After calibration we saw very accurate color reproduction with almost zero deviations in either dark or bright areas of the grey scale. Gamma is very close to our 2.2 target and color temperature is almost spot-on. We also managed to improve the accuracy in the dark grey tones, thus improving shadow detailing. So what does this mean? Well, Dell U2412M comes with pretty accurate colors in the Standard picture preset but in order to achieve its full potential it needs to be calibrated. The same is true for pretty much any monitor on the market today but Dell U2410’s sRGB mode is more accurate. Not much, but there is a difference. As a photographer or graphic artist you can use both monitors for editing but U2410 still gives you the best pre-calibrated settings. On the other hand U2412M has the proper calibration settings in order to provide even better picture quality and if you have a calibrator you can achieve very good results with U2412M. One other difference that separates the two monitors is gamut support. 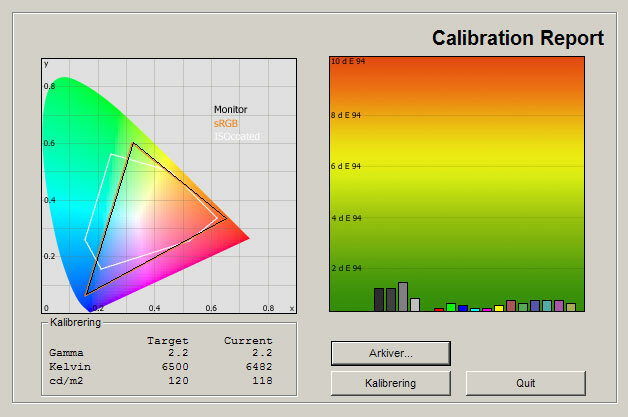 Dell U2410 has a wide gamut panel that supports both sRGB and AdobeRGB color gamuts through gamut emulation. These gamut profiles provide graphic artists with the means to work in different color environments and thus make U2410 a more diverse monitor. Dell’s new 24-inch U2412M uses a standard gamut panel. That is not necessarily a bad thing for most users and if you are working with just sRGB colors it is no loss to you. But it also means that more demanding graphic artist or photographers might prefer U2410 over U2412M. I have changed the brightness setting in order to lower backlight intensity. Also notice that backlight can be reduced much more, which I am sure will satisfy some users working in very dimly lit rooms. I changed the RGB (red, green, blue) settings in order to improve color accuracy. An ICC profile has also been used. So, let us move on to our practical tests. In the following sections I will examine Dell U2412M with our stress tests in movies, games and such, as well as with our self-developed monitorTest software. I will also include comparisons to Dell’s current U2410 monitor. Color accuracy is an important factor but color gradation is equally important. We use color gradients to examine color gradation and we aim for perfectly smooth color gradients without “bands”. Our tests revealed that U2412M performs like most mid-range IPS monitors. The bright and mid-intensity colors are reproduced almost flawlessly. The darker end of the color gradient gave us some bands, but nothing serious. Actually, compared to U2410 performance on U2412M is remarkable similar. U2410 has marginally better color gradation in the semi-dark areas but on the other hand U2412M distinguishes the darkest grey tones better. The high resolution on U2412M matches that of U2410, which is fantastic. More and more monitors seem to embrace the Full HD marketing term and thus only offer 1920x1080 pixels. The vertical resolution on U2412M is instead 1200 pixels and that actually makes a significant difference in for example Photoshop editing and CAD. As stated in the beginning of this review Dell U2412M uses an eIPS panel. 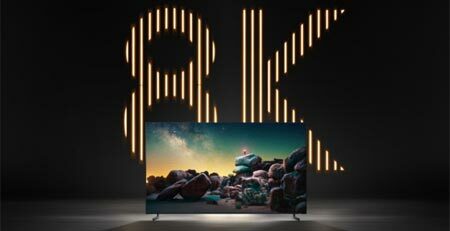 eIPS panels have most of the same image characteristics as other IPS variants, which also means that the dirty / crystalized panel coating is present. Some people prefer VA panels because of this. However, if you are used to working in front of an IPS panel, you will have no problem with U2412M. On the other hand; if you feel distracted by the crystalized coating on IPS panels, U2412M is not different from most other IPS based monitors. Below I have measured black depth, brightness and contrast. After calibration I measured black depth to 0.14 cd/m2. That is better than on U2410 where we measured 0.18 cd/m2. It is also 0.02 cd/m2 point lower than on last year’s 23-inch U2311H. However, VA panels still offer much lower black depth. One example being Eizo 23” EV2333W that has managed to push black depth to 0.04 cd/m2. Before calibration Dell U2412M crushed the 2-3 darkest shades of grey and they were reproduced as black. After calibration I managed to get better shadow detail reproduction and only the darkest grey tone was hard to distinguish. I tried to compare my results with Dell U2410 and before calibration that is no doubt that U2412M is a better performer in this area. 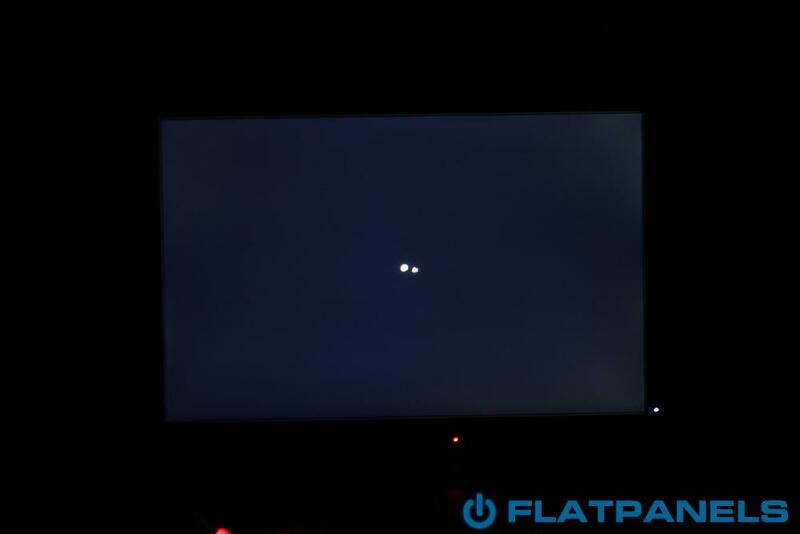 After calibration U2412M has the edge but the two monitors exhibited very similar results. Lastly I examined Dell U2412M in a completely dark room to search for backlight bleeding and clouding problems. Dell U2412M has some very mild clouding in the right side of the panel but nothing too worrying. I moved on to examine response time. Dell U2412M is pretty fast and although it has motion blurring, it is one of the better IPS panels I have examined. IPS panels are not as fast as 120 Hz TN panels but personally I have no problem with using an IPS panel for casual and semi-serious gaming. I compared U2412M to U2410 and saw that U2412M actually has less motion blurring that U2410 – mostly in the darker picture areas. On the other hand U2412M has slightly more overdrive trailing. Nothing serious, and nothing to worry about for most users, but I think that critical gamers might prefer the lower level of overdrive trailing on U2410. Dell U2412M is not a true gaming monitor – no IPS panels offers that experience – but for most gaming, even semi-fast gaming, I see it as a fairly good solution. If you are a serious FPS or racing enthusiast I suggest you look for a 120 Hz TN panel instead. Viewing angles are much wider than on TN panels and also wider than on VA panels that are used in Samsung’s more expensive monitors and most Eizo monitors. Color intensity changes from angles but not much. The real problem with IPS panels and viewing angles is contrast. From wide angles contrast is reduced significantly and that also means that black is less intense. Dell’s new 24-inch U2412M comes with a smaller portfolio of input connectors and multimedia options compared to the more expensive Dell U2410. First of all Dell has removed the HDMI option. 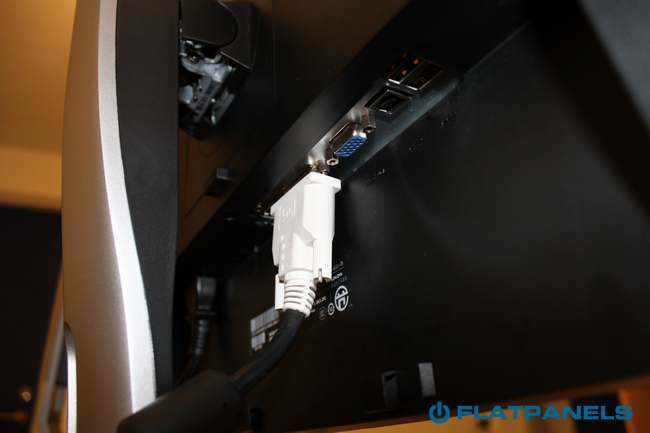 That might prove to be a problem if you are planning on connecting external players or gaming consoles. For PC users it does not really matter. The SD card reader has also been removed but to me that is no great loss. U2412M now comes in two color variants; black and silver; and the new design feels a bit cheaper but all in all it is almost identical and the same ergonomic adjustability options are available. Power consumption is significantly lower, though. Dell U2412M gave us fairly good color accuracy out-of-box and even better color accuracy after calibration. 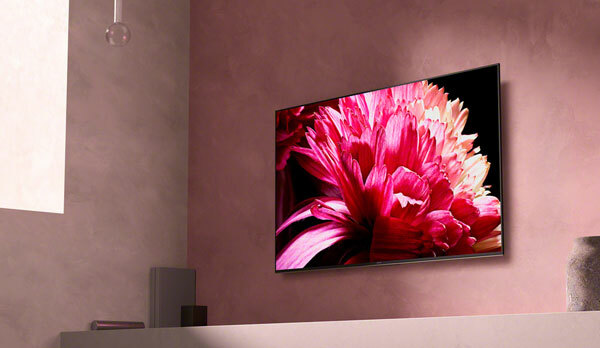 Black depth is lower than on U2410 and U2311H and our U2412M had no serious problems with clouding / backlight bleeding. For U2412M, Dell has used a standard gamut eIPS panel, which basically means that it cannot reproduce the wider AdobeRGB gamut that U2410 can. For most users it does not really matter but more for advanced users I think U2410 is a better choice. On the other hand U2412H gave us slightly better color gradation and shadow detailing. Dell U2412M has less motion blur than U2410, but more overdrive trailing. The latter is easier to spot in FPS or racing games but the difference is not significant. However, we still recommend 120 Hz TN panels for gaming. Another problem with U2412M is the crystalized coating on the IPS panel that continues to annoy some users but this is a general thing for IPS based monitors. 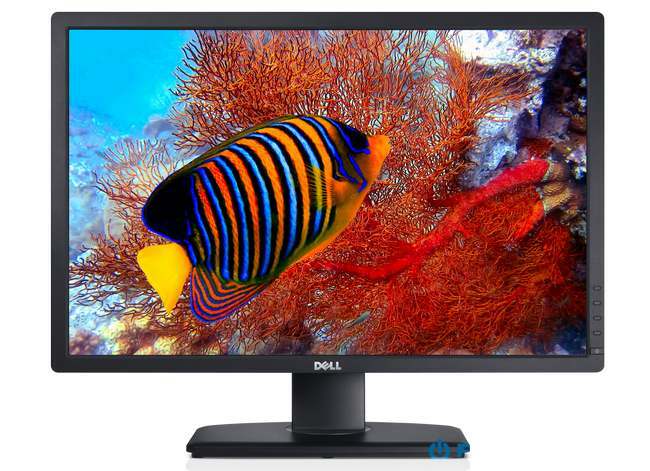 All in all Dell U2412M is a great addition to Dell’s line-up of UltraSharp PC monitors. However, we do not view it as an improvement over the current U2410, and Dell also tells us that U2410 will function as a step-up model in the future. If you can live without HDMI and do not require the wide gamut panel, I think U2412M is a great value for money monitor and I therefore award it with our Highly Recommended Award. Press the award logo to learn more.